6 Vegetables That Are Fruits | Eat This! There are some fruits that people always mistake for vegetables because, well, they just seem more like vegetables. They’re often more savory than sweet and are used the way vegetables would be used, say in salads or other vegetable dishes. Fruits always contain seeds and pits, which is what makes all of the foods listed below fruits rather than vegetables. Here are 6 vegetables that are fruits. Tomatoes are a fruit in the nightshade (Solanaceae) family. Avocado is a fruit (technically a berry) from the plant family Lauraceae. Cucumbers are a member of the gourd family Cucurbitaceae. They develop from a flower and are classified as a fruit. All varieties of squash of the genus Cucurbita are classified as fruits. This includes pumpkins, zucchini, summer squash, butternut squash, and acorn squash. Eggplant is a fruit in the nightshade (Solanaceae) family. It is related to tomatoes and potatoes. 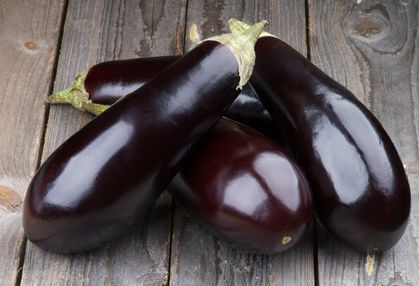 Interestingly, eggplant is classified as a berry. All peppers, including bell peppers, are fruits of the genus Capsicum. Like eggplant and tomatoes, they are a member of the nightshade family.